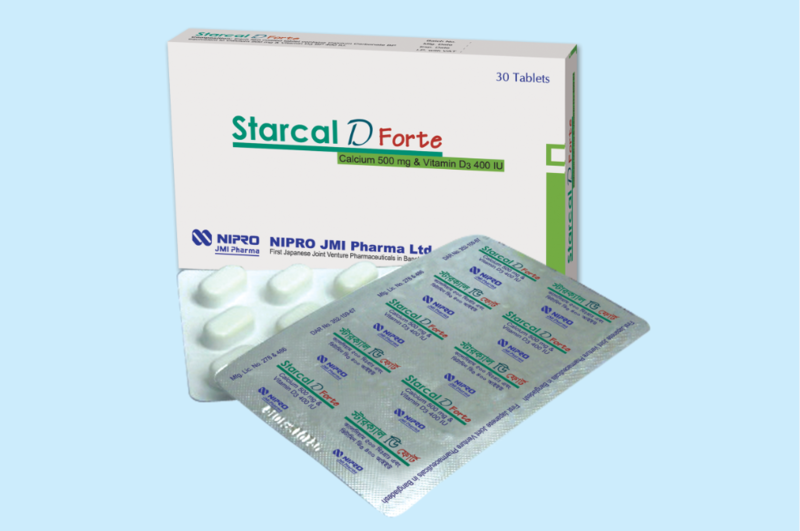 Starcal D Forte is the preparation of Calcium Carbonate and Vitamin D3 (Cholecalciferol). Calcium is necessary for many normal functions of our body, especially bone formation and maintenance. Vitamin D3 helps for the absorption & reabsorption of Calcium. Vitamin D3 also stimulates bone formation. Clinical studies showed that Calcium and Vitamin D3 all together help in bone growth and in prevention of osteoporosis & bone fracture.